Graz-based designer Lena Hoschek wowed the audience at Mercedes Benz Fashion Week in Berlin with her designs inspired by African prints. 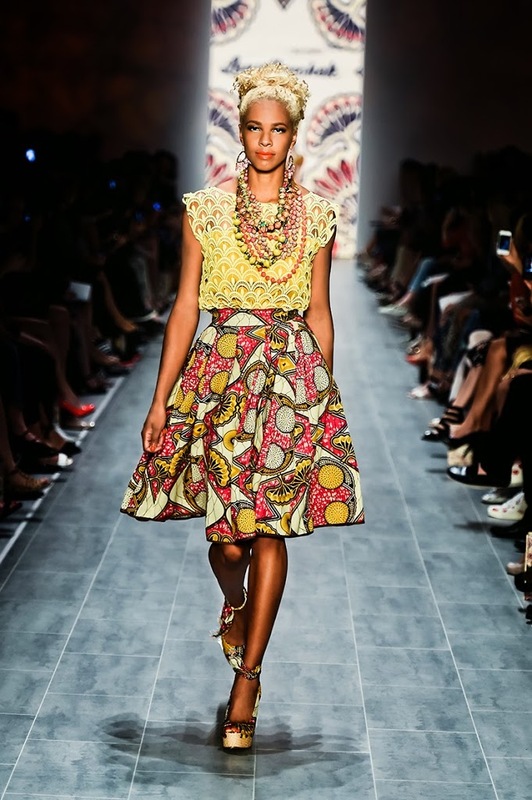 The collection titled “Hot Mama Africa” – ouch, yes that’s what it was really called – combined feminine cuts from the 50ies and 60ies with the colorful and multifaceted prints. It wasn’t as bold and fashion-forward as the first collection from Stella Jean, but the overall aesthetic and just the fact that Hoschek’s whole collection was Africa-inspired and not just some pieces, made me think of the Haitian-Italian designer. But even though I am poking fun at the oh so stereotypical title, I really like the dresses and can see myself wearing one. Worth mentioning: Per sold clothing 2 Euro are being donated to SWAP – Safe Water and AIDS Project. How do you like the collection?